Thank you for exploring the "slightly pink" Villser Ullmoriun Biovessel with us over the last week! We really appreciate all the steady communication that has been popping up in those comments as well. It always feels good to talk with you guys, and even after all these years we're still gaining new insight into our community on a regular basis. Marking our 72nd wave is only possible because of your true interest in this stuff, and we'll keep on creating within this world as long as we have the ability to do so. I'll attempt to keep things short(ish), I promise! Beyond the return of the Buildstation, this recent wave wraps up our small trio of "Real Type" releases as we head towards the warmer months. It's a blast endlessly exploring the oddball hues of Real Type color theory, so revisiting the genre later this year is a definite. In the meantime, we'll continue to nose around the Biovessel with some special posts popping up over the next week. Speaking of upcoming releases, our next one (late May) focuses on a pretty specific and somewhat obscure homage that some of you may be familiar with from when you were kids. It's a little outside the more popular 80's toylines, but does have some significant meaning behind the scenes over here, particularly in regard to the DSG design. I consider this coming wave a temporally displaced birthday gift to my much younger and less gray counterpart, playing under the bed somewhere in a permanent 1984. Be prepared for extra weirdness with this one, and of course, expect a couple surprises. Almost every order placed up until late last night has headed to the post. As usual, Michelle and Pj were the dual forces responsible for keeping things on track. Little Dragon and a dash of Fleetwood Mac scored the barn mayhem for the week. Quick note for those of you that may have received two different tracking numbers; please disregard the first one you received and just follow the second one that was issued. We had an old school Paypal hiccup and had to re-enter the shipping on a few orders. I said I'd keep it short and I almost got there! 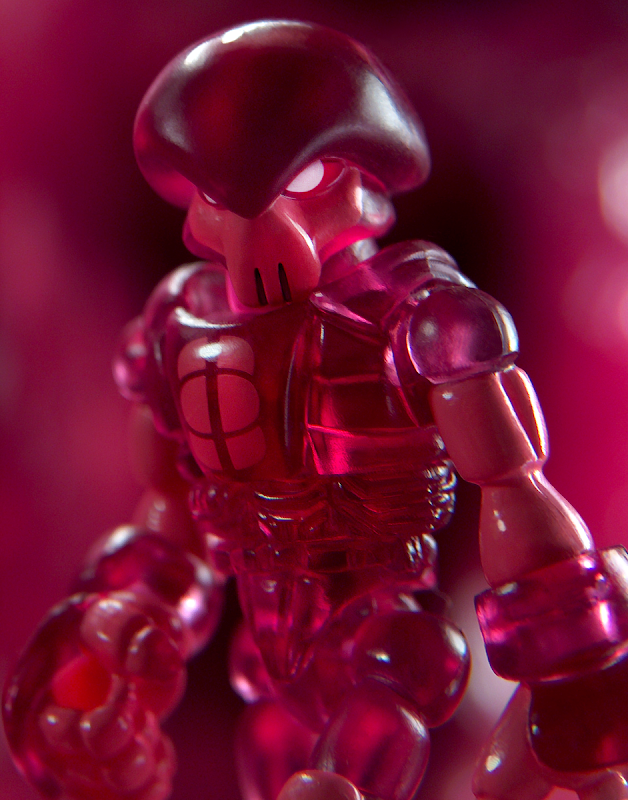 Thanks once again for being part of Glyos and for all the awesome creative inspiration that you continue to share not only with us, but most importantly, with each other. I am both happy to hear there will be more Real Type colors later this year, and excited for the sound of this next drop! Also, that's great that we will see some more of the Biovessel. i eagerly look forward to the next wave! Can't wait to see what obscure 80's toyline is getting Glyo'd! i have been hopelessly and happily Glyo-addicted for the last year, and have great admiration and appreciation of your never-ending creativity. Bravo, and thank you! No, thank you! It's crazy to think that I first stumbled onto this page in 2010, made my first order shortly thereafter and never looked back. Life makes ordering every time impossible, but I still check in on everything daily and put in some big orders when time and money allows. I love the direction lately, though will always miss and hope for a return to vinyl drops and an appearance of the mythical Delphi! Can't wait to get my hands on the latest stuff, hoping all is well over there. I'm just saying: Air Raiders would make for a great "coming-outta-nowhere" homage. So would Sky Commanders. But if we're talking DSGs, and we're somehow not getting Inhumanoids out of an homage, well, you'll have out-obscured me, my friend. In all seriousness, congrats on another run! Looking forward to getting these in-hand to see what can be done! Air Raiders Glyans would be awesome. I went digging around a bit and Playmo Space popped up as an idea. I remember my best friend having the space station. I'm not sure that would fit the "extra weirdness" part. Sectaurs would easily fit the weird part more. So great seeing the Buildstation return with new stock. It may have taken up most of my focus when running through the store. If it's Inhumanoids, I can guarantee we'll see a Zullbeast. It's too perfect of a match. Air Raiders and Legions of Power would be incredible homages! Thank you! I’m loving that I’ve been getting the chance to stock up on “buildstation” (axis, hub, etc.). Especially, this being my 2nd year in the Glyoverse. I’m with *Rez* in hoping we May get some vinyl in next release. Possibly some Armorvors? Anyway, thanks again, Matt! I really love how you mentioned keeping Glyos going for as long as possible- Very uplifting news, especially after some concerned speculation in the forums and a couple of other areas of the Glyosphere. Thanks, you set um up, i'll knock um down! You REALLY knocked it out of the park with the mystery figure this time! It looks incredible in person. The color used for the accessories and how it works with the figure is amazing. That's not to mention how cleverly adapted the reference character was. Wow! And the colorway on the DSG looks great in person. So, so happy with this drop. I know you guys are mega busy, but what if we didn't get any tracking info? I placed 3 separate orders. It's my first drop! Thanks guys! Matt, that glyrecon, WOW! i originally passed but damn glad it was still in stock. May be the best one yet. Very intrigued about the may drop. Hmmm. OSM crossover? Cthulhu Nautilus!!! Imperial Sardaukar! Fremen! Sandworm themed syclodocs or super crayboths!! !